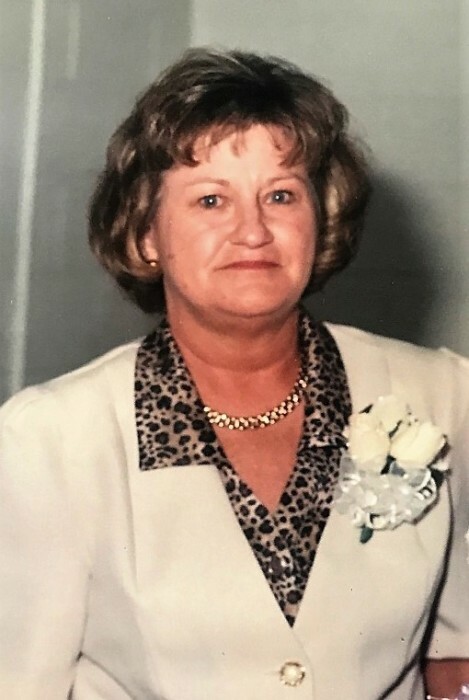 Grace “Beth” Gibbs Wilson, age 71, of Marion, North Carolina passed away on August 23, 2018 at the UNC Chapel Hill Medical Center with her family by her side. A native of McDowell County, Beth was born on February 19, 1947 to the late Tommy and Sue Craig Gibbs. Beth was a member of Liberty Free Will Baptist Church. She formally worked at Marion Manufacturing for over thirty years, and later retired from Wilson Marble Company. She loved the outdoors, working in the garden and her flowers. She loved her family especially her grandchildren. Those left behind to cherish Beth’s memories are her husband of seventeen years, Ken D. Wilson; two children, Scott Prather and wife Rebecca and Shelly Yates and husband Jason; two step-children, Melissa McCormick and Candace Wilson; siblings, Larry Gibbs and wife Jean and Jane Burress and husband Ray. Also surviving Beth are her aunt, Anne Morgan; three grandchildren, Carson Yates, Caroline Prather and Cross Yates; step-grandchildren, Patrick McCormick, Hope McCormick, Kasey Loesekann, Dustin Hollifield and Logan Clontz; and step-great grandchildren, Bailee McPeters and David Hollifield. The family will receive friends from 11:00 a.m. until 12:00 p.m. on Saturday, September 1, 2018 at Liberty Free Will Baptist Church. A funeral service to celebrate Beth’s life will follow at 12:00 p.m. at the church with Reverends Harold Webb and Dean Owenby officiating. Flowers are accepted and appreciated, but those wishing to make a donation in Beth’s memory are asked to consider, SECU Family House at UNC Hospitals, 123 Old Mason Farm Road, Chapel Hill, North Carolina 27517.